What does is mean to live a Positively Delighted life? Does it mean that you’re always little miss sunshine? Or does it mean that dreams come true where ever you go?! As wonderful as these things sound… there is a bit more to it than that and we will get into this today's song and story episode. The "Music & Lyrics" album launch! How live a life full of delight, laughter, and fun! "Music & Lyrics" is here!! It has been one crazy week over here. I turned 25 last Wednesday (woohoo! ), launched my second album, Music & Lyrics, last Saturday, and released a music video for my song “Dolly Smiles”. I have been working with my producer on this album for exactly a year, but the songs on this album were written over the course of 7 years. This album is a musical diary of the past 7 years of my life. It covers my ups, my downs, my strengths, my weaknesses, my happiest times, and my most vulnerable. It’s scary and exciting to release something so personal. I love so much that there is this element of fun that runs through the album, among the ups and downs of life that it covers. I am so proud of what I have created and so grateful to the people who have been a part of that, whether that be the people who actually inspired the songs, friends and family who helped promote it, or my producer John, who made the magic happen and brought the songs to life! I know exactly what each of these songs is about. I know what point I was at in my life. And I know the lesson that I learned because of it. What I want to do with this song and story series is to shine a light on each one of these songs and share these stories and lessons with you. I believe that stories are the best way to teach a lesson and music is one of the best ways to tell a story. So I will be dedicating 10 episodes of the podcast to the Music & Lyrics song and story series. After this episode, I will start posting this series on the weekend and continue posting weekly interviews on Wednesdays. But this week, I wanted to publish this episode on Thursday because I want to celebrate another birthday, this one for my friend Dolly, who passed away from cancer two years ago. Dolly’s birthday is today, August 30th, and she would have been 66 years old. Because the album launch was so close to her birthday, I decided to promote my song “Dolly Smiles” first for the album. So, I recently released the music video for "Dolly Smiles", which currently has over 2,000 views and climbing. Thank you so much to everyone who has viewed, liked, commented, or shared this video. 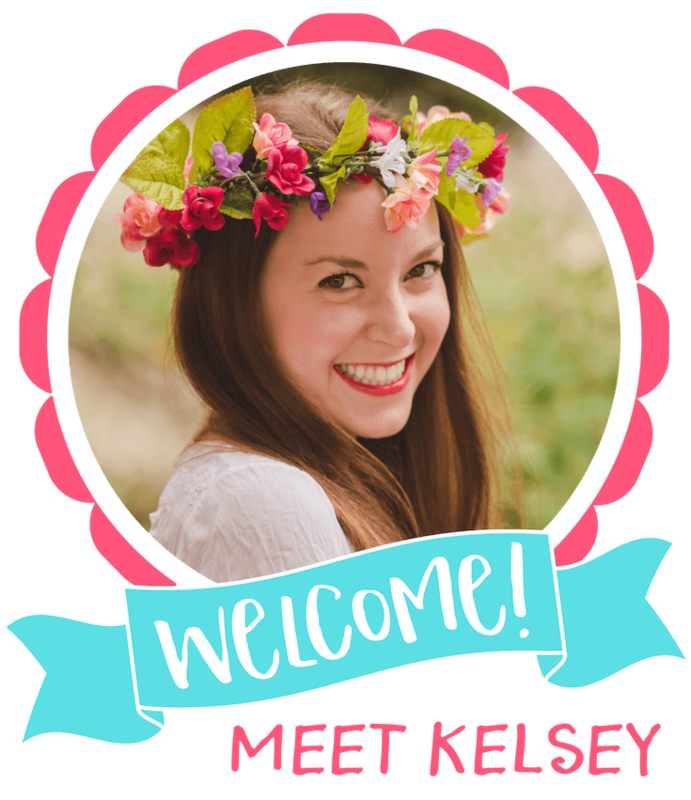 And a big THANK YOU to my friend Kayley Walker who filmed and edited the video. In this episode, I want to tell you about Dolly and how she is the example of living a Positively Delighted life. Dolly survived Hodgkin's. She survived a lot of illnesses during her life, including thyroid cancer and breast cancer. She was a survivor, a fighter, and the example of optimism. Dolly was faced with many challenges in her life and her health, but she didn’t focus on that. She was too busy living, learning, and loving. Her giggles were legendary and the smallest things would make her so happy. I became close to Dolly and her husband Dave when I was a teenager and my family was full-time RVing around the country. When we came back through Texas, sometimes we would stay with Dolly and Dave and they became like family to me. Dolly was always excited to hear what I was up to and what my latest songs were about. We would trade stories about our adventures and our latest favorite books. She had this amazing energy about her that made you instantly happy and feel like you could do anything. In this song, I captured my perspective of her and many of the reasons that she was and will always be very special to me and many others. She is the inspiration and the spirit behind my brand Positively Delighted. What does a positively delighted life mean? In her 64 years, Dolly packed in a lot of living. She was constantly learning new things and finding the simple joys in life. She was a master gardener, avid reader, sailer, and botanical illustrator. Dolly had a degree in microbiology and worked as an IT Consultant. To say her interests were diverse would be an understatement! Dolly and Dave went on many adventures together, by boat, RV, or motorcycle. She didn't know how much time she would get in this life, so Dolly made the most of the time she had. So now that you know the inspiration for Positively Delighted, and more about Dolly, how can this help you live a more positively delighted life? Based on my inspiration from Dolly, I believe that a Positively Delighted life, is one filled with delight, laughter, and fun. Dolly loved to read. She loved to learn new facts and skills. She learned everything she could get her hands on and it all made her so happy. Do you know delights you? The things that make you smile? What are the simple things that make you so excited that you are positively delighted? Maybe it’s reading a good book, maybe it’s having a cup of tea, maybe it’s running through a field of flowers on a sunny day, or even staying inside and cozying up on a rainiest of days. Whatever this is to you, make sure that you are infusing delight into your every day. Surrounding yourself with it and soaking it all in. Make a list of all the things large and small that delight you and start adding these into your day. Even better if it’s something you can share with someone else. I get delight from many things, like giving myself a treat, going to a movie in the middle of the day, or sharing an adventure with someone I love. Dolly loved to laugh. She loved to giggle. And she loved to smile. When was the last time that you laughed so hard, you cried? I’m talking about belly aching on the floor laughing over something hilarious. I’m also talking about the giggles, the smiles, and the every day laughter. What are you doing to put this into your day? Do you have a friend who always knows how to make you laugh and smile? Make sure to spend more time with that person! Maybe you are that friend or want to be the person who makes others laugh and smile. Lean into that and see how others are attracted to your sunshine. Make a list of things that make you laugh and smile. Start putting these into your day too! Be it a funny movie, TV show, video, or maybe a collection of your favorite photos. Dolly loved to have fun. Everything was fun. Learning was fun. Adventuring was fun. Spending time with those around her was fun! I watch TV sometimes, is that fun? I listen to podcast episodes about cool stuff. Is that fun? If you think it is then sure! But also think about the things you don’t do very often that you really love. Maybe you love to travel, but you don’t get to much. Might be time to reprioritize some things in your life and budget. You can start small by creating little adventures every week. In fact, you can make pretty much anything into an adventure. It’s time to break out the imagination! As Mary Poppins says… “In every job that must be done, there is an element of fun!”. You can make trip to run errands into an adventure and add your own elements of fun. Maybe this means that you set a time limit on yourself at the grocery store and if you beat it, you get a treat! A smoothie, coffee, or something tasty on the way home. You could also listen to certain playlists, audiobooks, or podcasts while driving in the car or walking around the store. Cleaning is not one of my favorite tasks, but I can greatly increase the fun by turning it into a spontaneous dance party (with a disco ball of course). There are so many ways to level up the fun in your life! Think about what you love to do for fun and how you can use this to make everything in your life more fun. How can you add more fun in your job, your commute, your lunch break, your family time, your weekends, your evenings, your sleep! If you want more ideas on how to live a life full of delight, laughter, and fun, I have put together an ebook called "100 Ways to Live A Positively Delighted Life". This ebook tells the story of Dolly Smiles and is filled with pretty pictures, lyric designs, and easy ways to put more delight, laughter, and fun into your every day. I hope the ideas in this book will help you discover your fun, love deeply, and live a life that you are passionate about and grateful for. This bundle also includes my album “Music & Lyrics” and a set of Dolly Smiles themed printable inspiration cards and affirmation cards. My dream is to share the message of Dolly Smiles with the world. I am so grateful to have known Dolly and to be the lucky person who got to write this song for her. Now, it's my turn to give back in her honor. 50% of the proceeds from this Positivity bundle will be donated to Hodgkin's International, the charity that Dolly co-founded. My dream is to raise $50,000 for Hodgkin’s International in Dolly’s honor by her birthday next year August 30th, 2019. I made this goal when I was in a Jack Canfield seminar earlier this year. He told us to make a goal so big that we would have to grow as a person to achieve it and in the process become the person we want to be. I want to be the kind of person who can make this dream happen and I will do everything I can to make Dolly proud, spreading light and love in her honor. Please help me achieve this goal by purchasing the “100 Ways to Live a Positively Delighted Life” eBook Bundle. I would also be so grateful if you could help me by sharing the music video on Facebook and streaming the album Music & Lyrics on Spotify. Thank you so much for spending time with me today, learning about Dolly, and how to fill your life with more delight, laughter, and fun. We could all benefit from more positivity and from living a little more like Dolly. two ways to support and buy the song! Want more fun?! 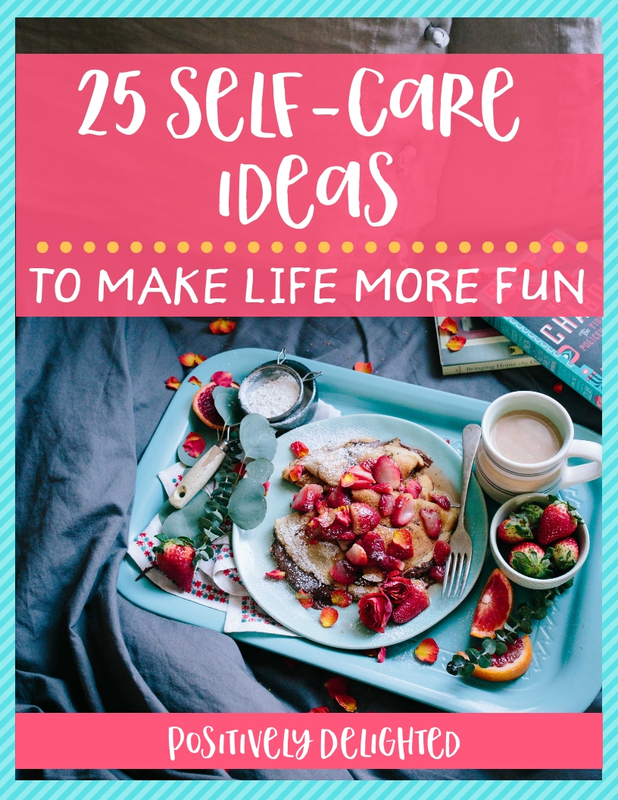 Check out these fun self-care ideas!